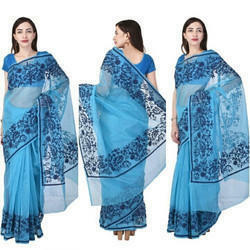 We are manufactured from high grade quality material in supern et aari work sarees and is duly tested on various quality parameter by our experts. The fine fabric used in its creation, gives it an increased resistance to shrinkage and fading. Further, the offered suit has an attractive design and a comfortable fitting, making it highly praised and preferred. We are manufactured from high grade quality material in supernet aari work sarees and is duly tested on various quality parameter by our experts. 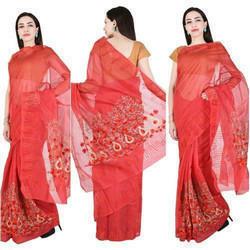 We are manufactured from high grade quality material in supernet hand aari work suits or sarees. The offered supernet aari work suits. Range of suit is specially designed by our professionals in compliance with the current fashion trends. The offered range of supernet saree is specially designed by our professionals in compliance with the current fashion trends. We are manufactured from superdying quality material and is duly tested on various quality parameter by our experts. 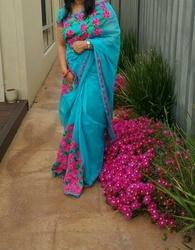 The offered range of saree is specially designed by our professionals in compliance with the current fashion trends. We are manufactured from high-grade quality material in Supernet Aari work suits or sarees and is duly tested on the various quality parameter by our experts. 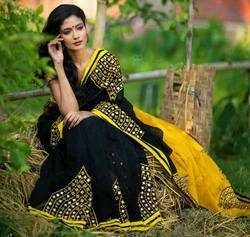 The offered range of saree is specially designed by our professionals in compliance with the current fashion trends. We are manufactured from high grade quality material in chanderi sarees with embroidery work and is duly tested on various quality parameter by our experts. We are making some unique design cotton sarees with warli prints with indico pattern what is 100 % color guaranteed in fabric or color wise also thanks for all of one for goods response for our new products. Vastra gram making all kind of sarees in cotton, supernet, We are prepared from high grade quality material and is duly tested on various quality parameter by our experts. We are making some unique design Supernet with Aari work saree with Embroidery work pattern what is 100 % color guaranteed in fabric or color wise also thanks for all of one for goods resonance for our new things. We are a trusted name in the industry for manufacturing and supplying Chanderi Silk Saree with aari work . Vastragram we are making some unique design Supernet with aari work pattern what is 100 % color guaranteed in fabric or color wise also thanks for all of one for goods response for our new things. 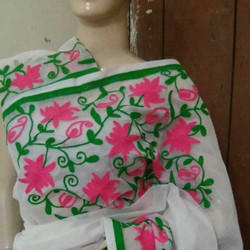 We have been able to bring forth the clients a remarkable collection of sarees for Uniform Saree.